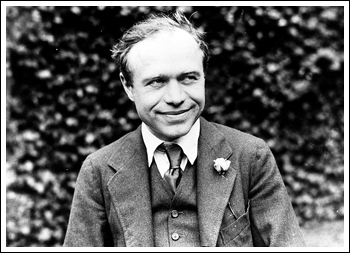 Wealthy Canadian newspaper owner Lord Beaverbrook founded the Canadian War Memorials Fund in November 1916. The Fund hired more than 116 artists in Canada and Great Britain to paint over 900 scenes of Canada at war. What did Canadas war artists do? Did the war affect Canadian art? Future members of Canadas celebrated Group of Seven found new inspiration as war artists, painting the landscape of the western front. After the war, they depicted Canadian wilderness scenes in which damage caused by forest fires and the harsh climate was a prominent feature. The image of the destroyed, but still upright, tree appears in many of their compositions. For many Canadians, it symbolizes the natural world of Canadas north. Its origins are visible in many of the war paintings in this exhibition. "After the war Jackson and his fellow artists deliberately sought to paint swampy, rocky, wolf-ridden, burnt and scuttled country . . ."
Excerpts from Canvas of Conflict, a co-production of Sound Venture Productions and the Canadian Museum of Civilization Corporation. The full 55-minute video can be purchased at the boutique.